An exciting new recycled product that offers high profits for groups that are tired of selling food products or just want to try something different. Perfect for Valentine’s Day, Mother’s Day, Dances, Socials, or anytime you want to put a smile on someone’s face! 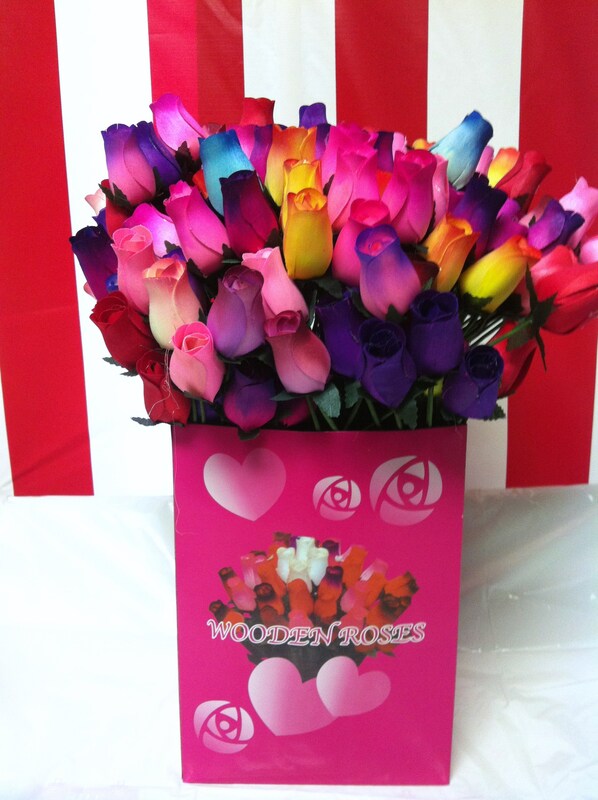 Each Wooden Rose sells for $1. We offer 3 different packages; single roses and two kits. Depending on the package you can earn 50%-60% profit! The kits include display boxes, a banner, sleeves, and rose scent. Plus shipping is FREE! Contact us today to order. It’s not too late for Valentine’s Day! « Little Caesars® Pizza Kits!